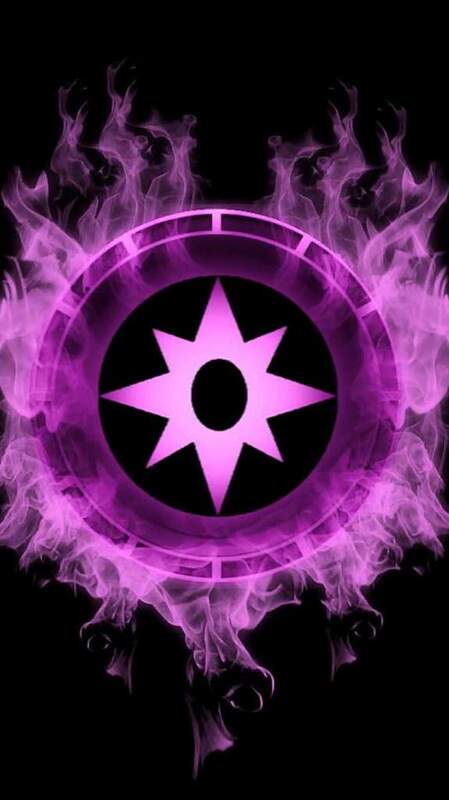 When the universe was young, a race from the planet of Oa declared themselves the Guardians of the Universe. They harnessed pure will power and forged it into rings of power that shone with green light. The bearers of these rings could use their will power to create whatever constructs they dreamed of and became a police force, patrolling the universe protecting the weak. 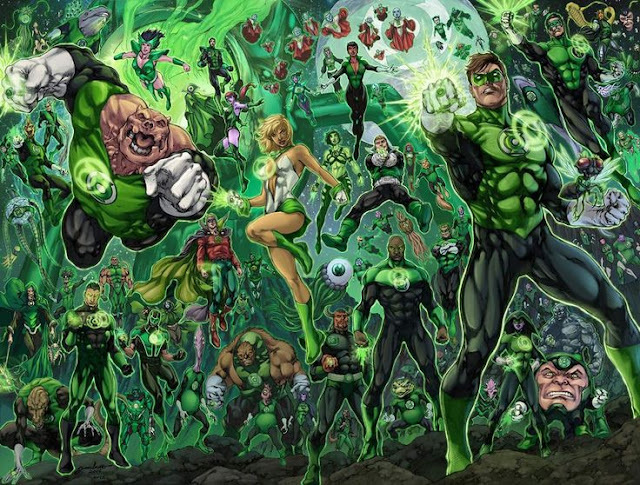 This was the Green Lantern Corps. Eventually, one of the most powerful Green Lantern broke from the ranks, believing that fear was a more powerful emotion than will. He forged his own ring using the yellow light of fear and used it to impose order on the universe. 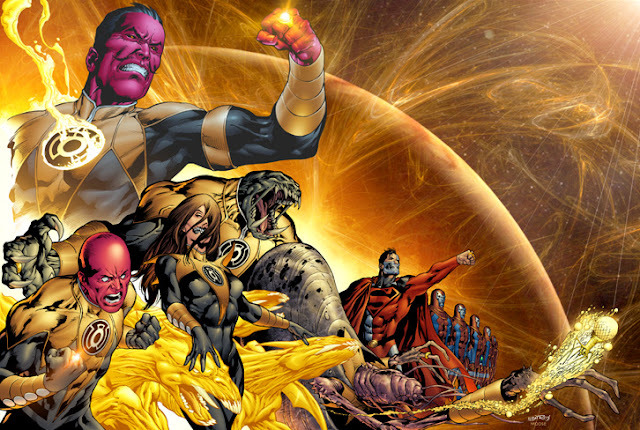 Over the course of various story arcs, the remaining colors of the emotional spectrum were discovered and harnessed. In April, I received my 4th tattoo. I struggled for months, deciding on arrangement, placement, style and purpose. Unless I'm wearing shorts, this is my most visible tattoo and so, as expected, I was asked about it by many people at Twitter Math Camp last week. I'm always happy to talk about things that I love (math, tattoos, comics, myself, etc.) but I don't feel as though I gave anyone an adequate reply. My tattoo relates directly to my soul as a teacher, who I am, who I want to be and maintaining balance. When a student forgets a lesson, or doesn't complete an assignment, for the 10th time in a row, the red starts appearing around my vision, I need to stop and take a breath. When a student casually throws out a racist or homophobic slur, or when they purposely try to hurt another student to make themselves feel better, the rage boils to the surface. When a parent doesn't care that their child can't read, and instead is singularly focused on getting them in to college in 5 years and I can't seem to make myself understood as to why that's dangerous thinking, my fists clench under the table. Rage can be constructive or destructive. I am a fairly angry person. I have tried to change this fact, but I've come to a realization. The anger is a part of who I am. It is passion and righteousness and fury and pain. If I'm going to fight, I might as well fight for what's right. My Red Lantern tattoo reminds me to direct my anger appropriately, to let it drive me to fight for my students. I use it to advocate for the quiet voices and to lift up those who are shoved behind. 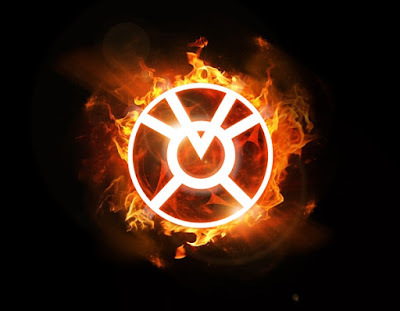 Rage cannot rule my life, but it can fuel the fires. In terms of teaching, this is the hardest for me to solidly explain. The closest I can come is by recognizing that I refer to the room in which I teach as MY room and the students who go there to learn as MY students. Neither of these is true. The room is OUR room, one in which we learn and grow together. The students aren't mine, or even ours. They are their own people. Yes, we take them under our wings, are proud of them when they do well and express disappointment when they don't. Ultimately, however, they are not ours. They need to be who they want to be, not who we want them to be. Outside of the classroom, my orange light shines brighter and clearer. I have a fairly strong social media presence and check my number of followers WAY too often. I keep a reflective teaching blog that, while I say I write for myself, I'm delighted every time someone shares the link or tells me how much they like it. I watch the number of views per page with the hunger of a starving man standing outside of a bakery, each new view singing in my blood. I crave the validation that it brings. I am greedy for it. My Orange Lantern tattoo reminds me to calm down. Clicks, likes, favorites and tweets do not actually bring happiness. They may be jolts of satisfaction and a feeling of acceptance at having your ideas shared by friends and strangers, but it is fleeting. Happiness and satisfaction take time. Greed provides motivation and drive. It puts a goal in front of us. It's vital, however, that we don't develop a myopic focus on that goal. Set a greedy goal, go after it with avarice, but not to the exclusion of all else. Any teacher will tell you that when they started teaching, they were afraid. At the beginning, I was terrified that they would find out that I had no idea what I was doing. I was afraid that I wasn't going to have a good lesson or that I would say something wrong. I was afraid that every time I saw an admin, they would remember that I worked there and would correct their error. Over the last 10 years, my fears have changed and morphed. I am still afraid of getting fired every day, but it's now a small background buzzing fear. Now, my fears run more towards my students. I fear that I'm not giving the education they need. I worry that I'm not providing them with enough a space to grow into themselves. Professionally, I am afraid of being left behind. There is always a new technology, a new tool, a new strategy that someone I deeply respect is using to tremendous effect. I fear that I will fail my students. 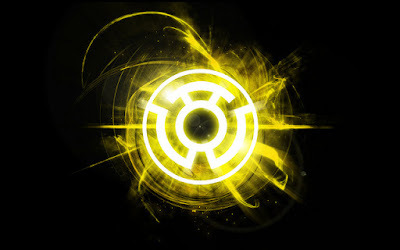 My Yellow Lantern tattoo reminds me that fear is not something to be ignored. It provides us with direction and guidance. It can be a familiar friend when we are lost and can push us to conquer that which we thought we couldn't. Fear is good, but we can not allow it to rule us. Teaching is hard, you guys. Like, super hard! Many days, it takes an act of pure will power to get dressed, drive to school and do the best that we can for our students. We are often besieged by students who don't want to learn, parents who don't understand pedagogy, administrators who are also besieged and trying to do their level best, and coworkers who are burned out and exhausted. Every day brings another story of education injustice perpetrated by local, state and national government, taking away funds from the kids who need it the most and expecting teachers to work miracles without resources or support. 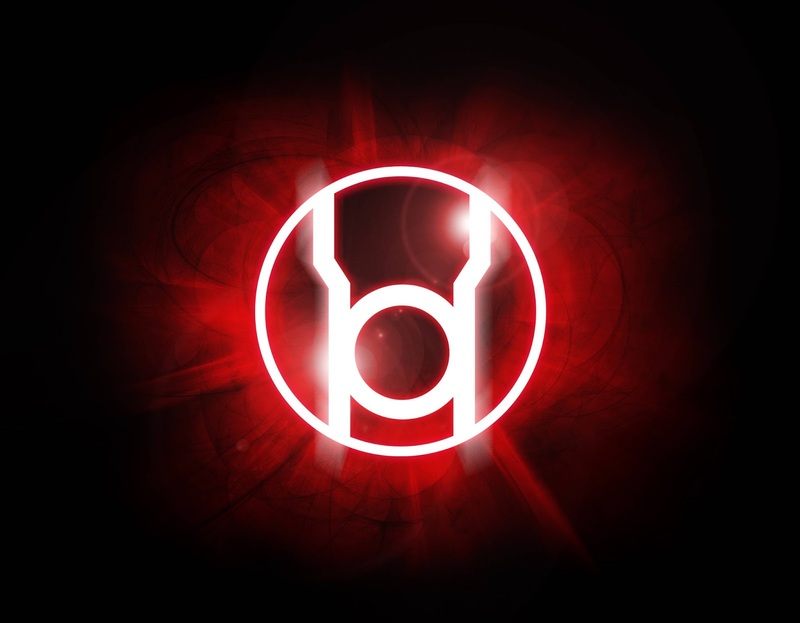 In brightest day, and blackest night, we power through to do what we can for the students in our charge. 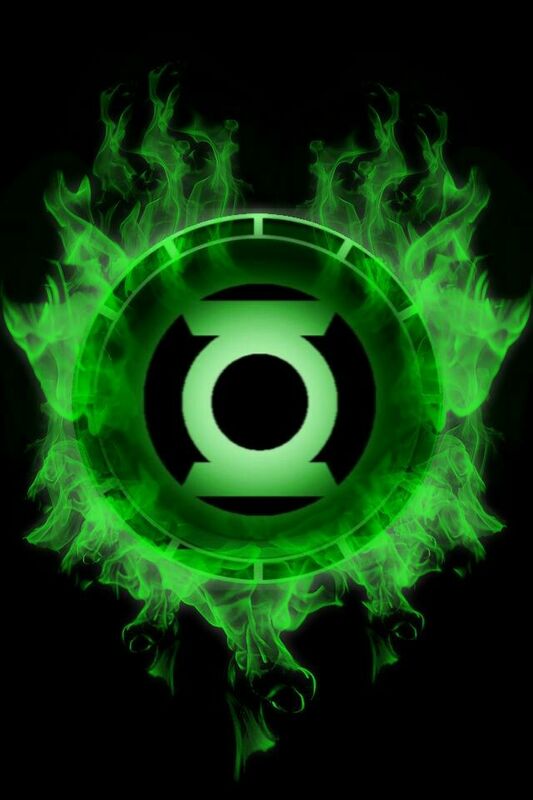 My Green Lantern tattoo reminds me that I AM strong and capable. It reminds me that my mind is a weapon that I can wield for good. If I want to be a better teacher, I must start with the will to be so. I believe that if you split all of humanity into their respective colors based on their driving emotions, a disproportionate number of teachers would be Blue Lanterns. Teaching is the embodiment of hope. The mere act of educating is investing in the future, imbuing it with the hope of a better tomorrow. When we teach, we hope that our lessons have lasting effect. We hope that our students will grow up to be happy and successful. We hope that we have done right by them and by all who will interact with them. This hope, however, isn't blind. We don't cast these dreams into the darkness of the unknown with the expectation that they will land safely on the other side. We work towards the other side. We build the ledge further out in order to give those dreams the greatest advantage we can. We don't just wish for a brighter future. We construct it one day at a time. 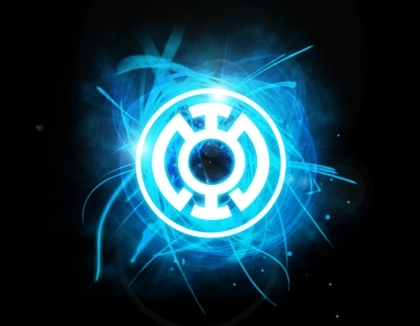 My Blue Lantern tattoo reminds me that there is always hope. The feedback that we receive isn't always positive, or even obvious. Sometimes, we never know what has happened to the students who have passed across our rosters and through the doorways of the classroom. None of that matters. What matters is that we work towards that which we hope and we never give up on it. I never had to worry about a family member overdosing on drugs. I never had to worry about the water or power getting turned off. I never had to worry about the police battering down my door in the middle of the night to take away someone I loved. There are an infinite number of experiences that my students and I do not share, both positive and negative. We are creatures of experience. Who we are is a product of our environment and the decisions we make, even when those decisions are impossible to make correctly. My Indigo Lantern tattoo reminds me that my students are human being with hopes, dreams and passions. They have people who love them and situations that they can't escape. They have issues that they tackle daily, any one of which I would find insurmountable. They are paralyzed by problems that I would consider trivial. They are human being and deserving of compassion. "Why are you still a teacher?" is a thought that all teachers have had, frequently about the grumpy coworker who complains about the kids every day, but also about themselves. We wonder why we teach and can be swallowed by the dark spiral that comes from those questions. There are days when I have to lock myself in my classroom and recenter myself. I am not someone who teaches. I am a teacher and I sometimes forget what that means. My Violent Lantern tattoo reminds me that I love teaching and I love my students. There are often days when both of these are hard to remember (usually Monday or the first day back from a break.) It is a constant and permanent reminder of the good that I wish to do and why I wish to do it. Mattie asked this question earlier today and it had me thinking. Do we all have to pick a color? I feel like by MTBoS standards I'm red. Where do you fall? Where do you WANT to fall? Which Corps do you belong to? Way more yellow than I'd like to be, but I'm trying to be green. I'll probably be my best when I'm violet though, and it's also the color of my favorite ties!